This is a double review of binary options signal services Signals365 and Investoo. Both are scams, se we don’t recommend trading with them. Signals365 is a provider of free binary options signals with an alleged up to 70 % win rate. The Signals365 web site is unfortunately full of lies, so it is a scam. The first thing you should notice is that it allegedly won the price for the Best Signal Service 2016. Really? Where? Nowhere, at least not in a reputable contest, we’ll explain that later. 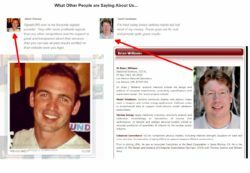 The second thing you should notice is that Signals365 allegedly featured on Money Show, Forex Magnates (Finance Magnates) or Yahoo Finance. But it is a lie. You can check two examples by clicking on the links above or look at the picture. Scams usually use fake testimonials and Signals365 is no different. 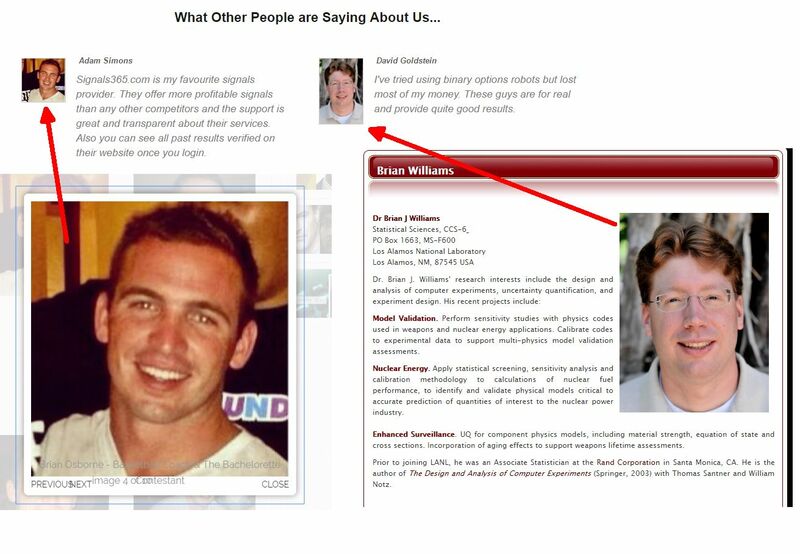 In this case they have stolen photos from other people and abused them in their fake testimonials. Signals365 say they won an award from Investoo. But what is Investoo? Just another scam that has been created very probably by the same people as Signals365. Both domains are registered with the same company and both are also hosted with the same company. Coincidence? We don’t think so. Investoo is using the same lies, they also show as featured on Money Show, Forex Magnates or Yahoo Finance. This again has nothing to do with the truth, check the links or the picture on the right. This alone proves that Investoo is a scam. Investoo also uses a fake testimonial. 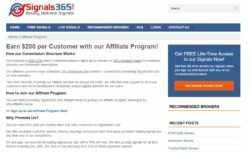 Don’t you find interesting that Signals365 and Investoo offer free binary options signals, yet they have affiliate programs? They pay affiliates for getting customers for a free service? So where does the money come from? This is the typical scam scheme, they are getting paid by brokers for referring new depositors. So the only purpose of Investoo and Signals365 is to make you deposit with their brokers. So their signals don’t need to be profitable since they make money on you in a different way. 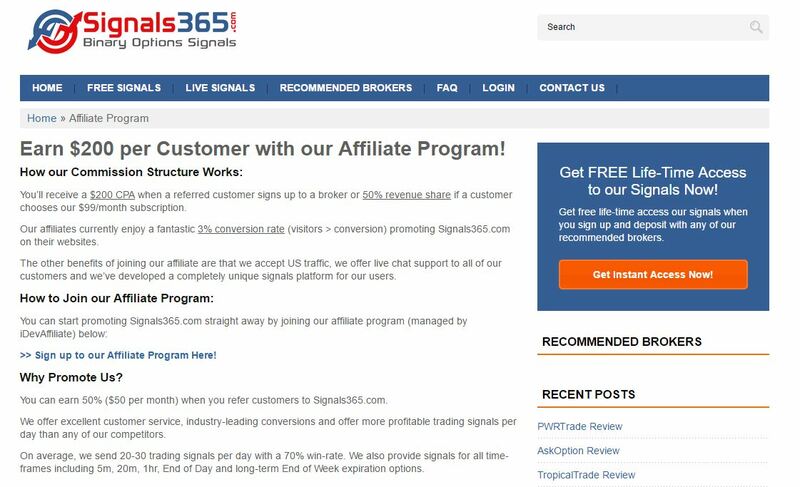 Signals365 and Investoo are scams designed to make money to scammers, not to you. It is really sad to see in how many ways binary options get abused. The golden rule is to never trust any system or service that promises you an income but pushes you to deposit with a certain broker(s). You can try a free demo to get a taste of binary options trading and understand what is it really about. i agree . signal 365 don t give a free trial . after you pay and login in it you can see almost lost signal than won . my rate is 0 . I purchased Ripple XRP coins from Investoo. I paid $5000 CAD for the coins when they were priced at $2.45 CAD and they transferred exactly 1370 coins into my wallet. Far less than should I paid for. You can’t call them, their phone number goes directly to a busy signal. They don’t answer their email either. I’ve been in touch with the agent but I don’t think he has a clue what he’s doing and the company isn’t exactly ethical. Do not deal with this company! They are frauds and should be reported to the local authorities. If I were in the UK I would do so in a heartbeat!